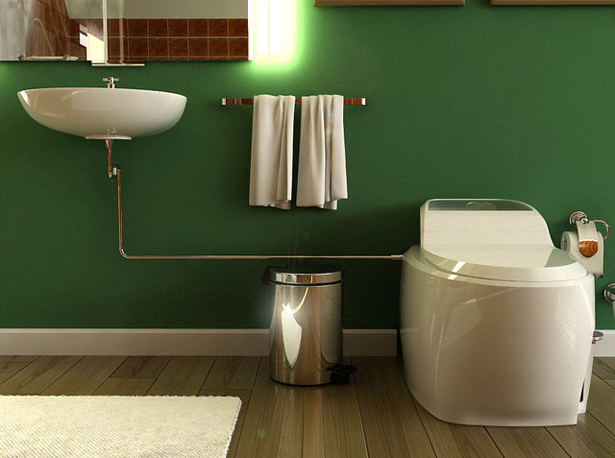 Eco-friendly toilets are becoming a priority in many homes because they offer an easy and immediate way to save water. This is particularly true in regions of the U.S. that have been stricken by drought and face water shortages so serious they’ve led to rationing. At the very least, using an eco-friendly toilet will reduce your water bill, but more importantly, it will help conserve our natural resources. Here’s a roundup of the different types of eco-friendly toilets. 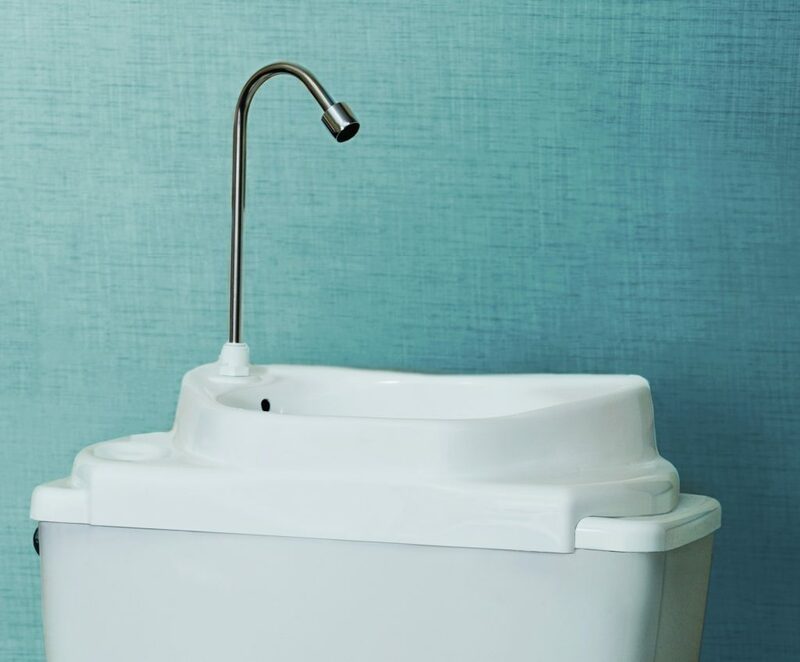 Most older toilets—which are still commonly in regular use—waste as much as 6 gallons of water per flush, but there’s a much better alternative. Let’s say the average person uses the toilet five times per day, and lives with three other people in their home. That household could be flushing as much as 120 gallons of water down the drain every day, just from using the toilet! Low-flow toilets provide the same flushing service, but they use only 1.6 gallons per flush. If the same four people are each flushing five times a day, that only amounts to 32 gallons of water used per day, rather than 120—a significant savings indeed. The federal government standard is that new toilets should all use a maximum of 1.6 gallons per flush. Here are some examples of low-flow toilets. Dual-flush toilets take the technology one step further. They offer either a lever on the side or a push button system on top of the tank that allows the user to make a choice. Push one button for flushing liquid waste, which uses only .8 gallons of water, and the other one for solid waste, which uses 1.6 gallons. Here’s an example of a dual-flush toilet with the flush handle mounted on the side. And this is an example of a dual-flush toilet that uses buttons on top of the tank to flush. EPA’s WaterSense program functions like its EnergyStar program. It develops efficiency standards to encourage manufacturers to produce better-performing products; manufacturers that meet those standards earn the right to use the WaterSense logo on their products to help encourage consumers to purchase them. In the case of toilets, the WaterSense label indicates that the toilet is 20 percent more water efficient than the conventional 1.6 gallon toilets. 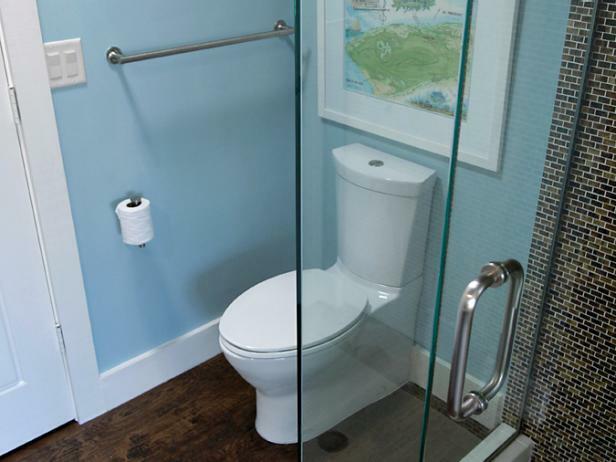 In other words, a WaterSense toilet will only use around 1.28 gallons of water per flush. EPA estimates that the average family can reduce water used for toilets by 20 to 60 percent. That amounts to almost 13,000 gallons of water savings for your home each year, reducing your water bill by more than $110 a year and $2,200 over the lifetime of the toilets. Here’s an even more stunning fact. Nationally, the EPA says that if all old, inefficient toilets in the U.S. were replaced with WaterSense-labeled models, we could save 520 billion gallons of water per year. That’s the amount of water that flows over Niagara Falls in about 12 days! If you don’t have quite enough space for a sink in your bathroom, or want to save even more water, you can replace your existing toilet lid with a faucet/sink combination. The retrofit reroutes clean water from the supply line and up through the faucet. When you flush the toilet, clean water comes out of the faucet and drains into the sink immediately below. The sink water then drains into the toilet bowl, where it helps displace the water that would otherwise refill the bowl after the toilet is flushed. Here’s an example of this technology at work. Composting toilets do not use water. Rather, they work by using natural decomposition and evaporation to recycle human waste. Though installing a composting toilet on a vacation property in a rural area or in the mountains is somewhat common, putting composting toilets into a home in a town or city may be complicated by local ordinances that require homes to have flush toilets and connections to sewer systems. If you’re contemplating getting a composting toilet, contact your city or county permitting department to determine what regulations your toilet needs to meet and what permits you need on hand. 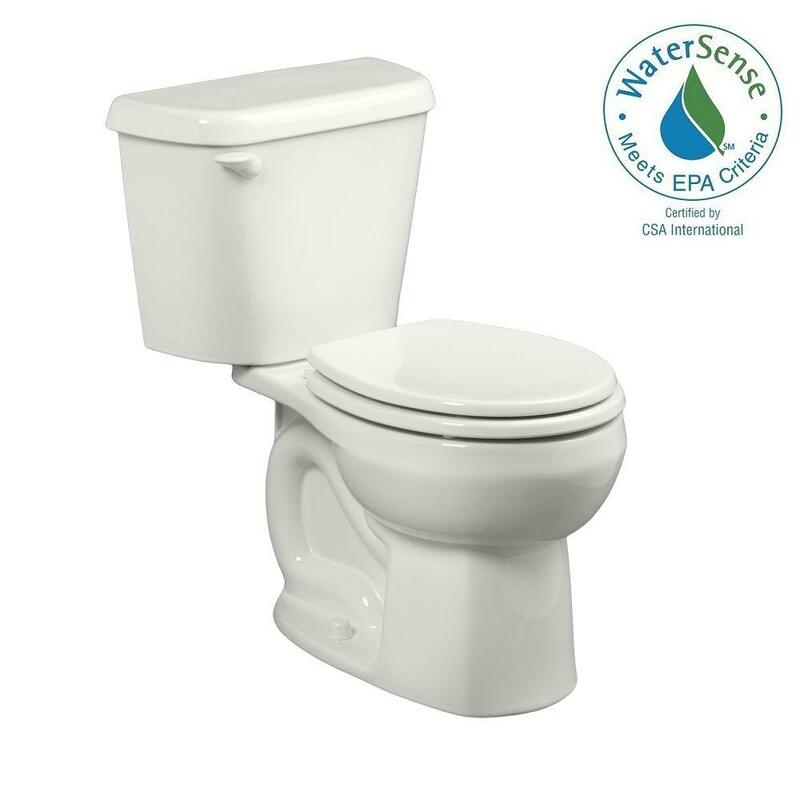 If you wish to replace your current toilet with a more efficient model, start by checking product availability and characteristics on the EPA’s WaterSense website. The site has 144 pages of certified product options to choose from! You should be able to find a low-flow or water saving toilet for a price you can afford. As with all appliances, there are both high-end and lower-end models. But any toilet bearing the WaterSense logo will save you money and water, regardless of what it costs. Also, comparison shop before you buy. A recent survey of WaterSense toilets at Lowe’s indicated prices ranging from $203 to more than $1,000. If you’re having a plumber replace your toilet, you can either buy the toilet yourself and have it available for installation, or ask the plumber to get the toilet for you. Either way, you’ll be doing your part to help conserve our natural resources—and that’s something to feel good about.